Preferred seating for 10 persons, wine, mention in program booklet, and a full page ad. Seating for 10 persons, payment must be received by 3/9; after deadline $900. Preferred seating for 10 persons, wine, mention in program booklet. Seating for 10 persons; payment must be received by 3/9; after deadline $1,100. 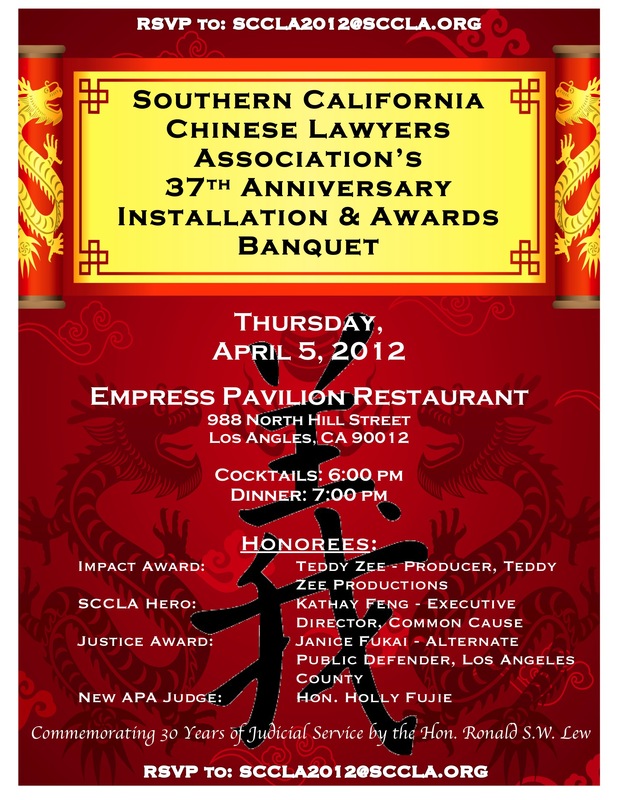 The Southern California Chinese Lawyers Association is a non-profit organization.